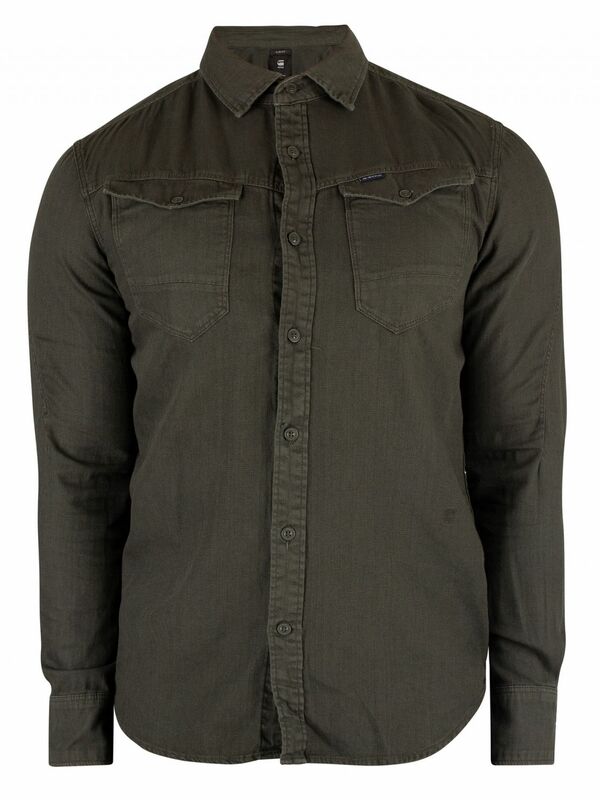 The Arc 3D Slim Shirt from G-Star comes in Asfalt colour, featuring an embroidered logo near hem. 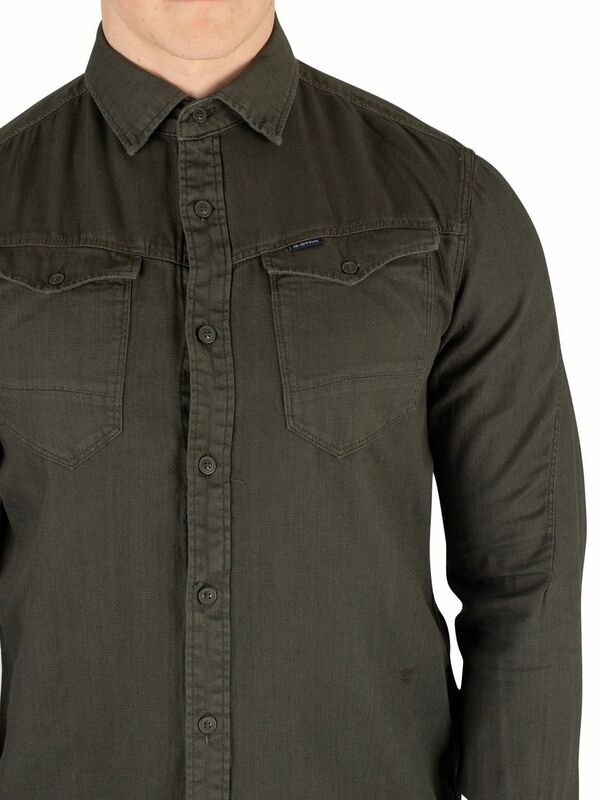 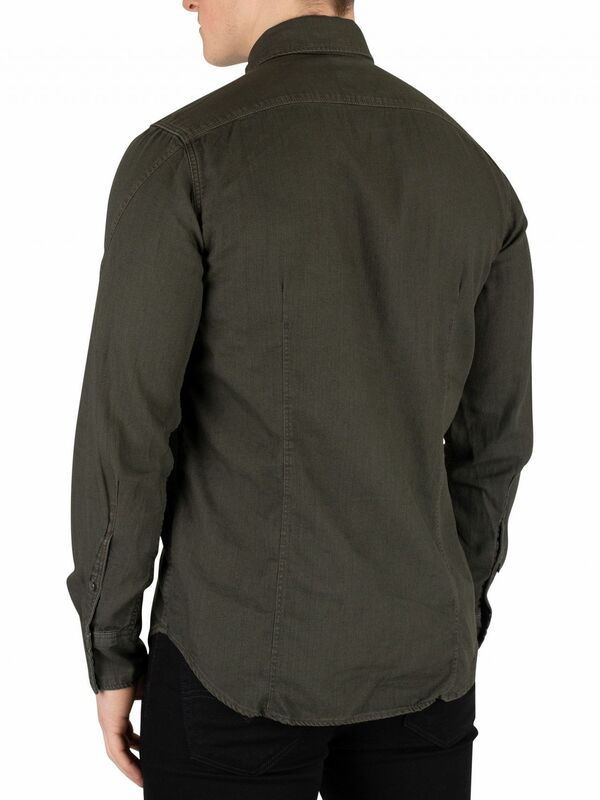 Featuring buttoned chest pockets and a branded tag on front, this shirt also sports buttoned cuffs and a curved hem. 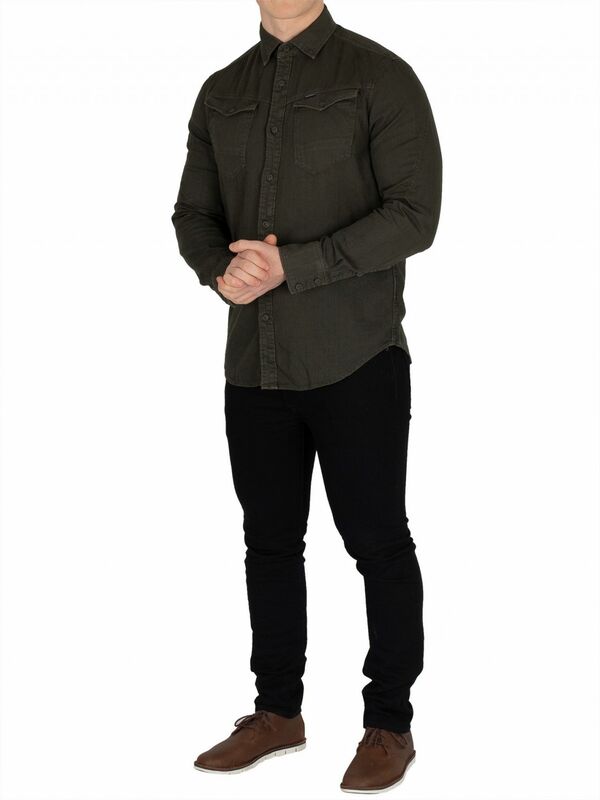 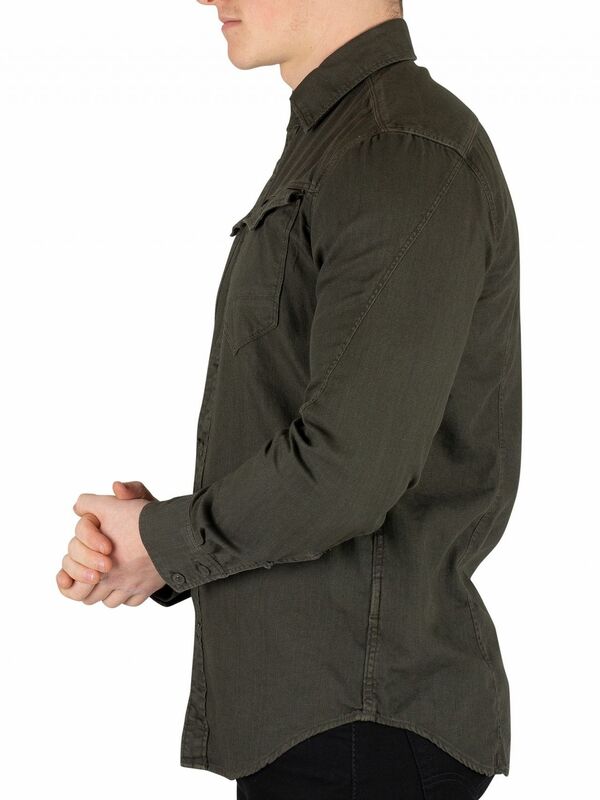 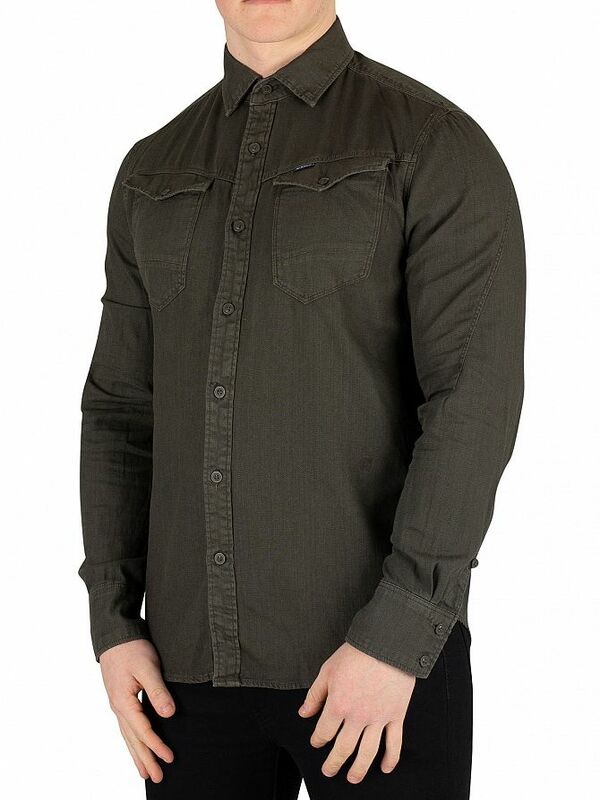 This slim fit shirt features a classic spread collar and buttoned closure.